Welcome Back to the Map, South Yemen! Posted on31 January 2018. Tags: South Yemen! The “Southern Resistance Forces” made impressive progress in their quest to restore South Yemen’s independence after they ousted Hadi’s government from its interim headquarters in Aden, which was formerly the capital of the Cold War-era state, and of the many historical precedents that speak to its favor, perhaps the one most closely aligned with the cause of “al-Hirak” is actually Crimea’s. The news just broke that the “Southern Resistance Forces” (SRF), the armed wing of the “Southern Transitional Council” (STC), the political branch of the “Southern Movement” that’s colloquially referred to as “al-Hirak”), just liberated the former South Yemeni capital of Aden from Hadi’s government following three days of intense clashes in the internationally recognized authorities’ interim headquarters. The latest reports indicate that a few dozen representatives are trapped in the presidential palace and that the Prime Minister is getting ready to flee just like President Hadi did back in 2015 when the North Yemeni-originating Houthi militants attacked the Southern city in the days before the Saudi-led intervention. There’s practically no way that Hadi’s Administration will ever regain legitimacy in any part of the nominally unified country after being forcibly removed from its Northern and now Southern halves, with the latest events made all the more symbolic because the twice-ousted government is ironically led by a native Southerner. That doesn’t mean that he was beloved by his native people, however, since he turned against their separatist cause during the 1994 civil war and was consequently rewarded by recently slain former President Saleh as Yemen’s Vice-President. Following the theater-wide “Arab Spring” Color Revolution, Saleh was pressured into stepping down and was replaced by Hadi, who failed to solve the state’s endemic corruption and actually exacerbated the African-like tribal conflicts in this peninsular country. The end result was that the North Yemeni-originating Houthi militants rose up to overthrow his government in partnership with Saleh’s forces, thereby nullifying the constitutional order in the state and sending the President fleeing to the former South Yemeni capital of Aden, from whence he ran to Saudi Arabia in urgently seeking the GCC leader’s military help as the Houthis threatened to seize control of the entire country. The subsequent multisided civil-international war has killed thousands and over a million people have since contracted cholera, and many more are on the verge of starvation due to the coalition’s constant bombardment of Houthi positions in what was once the independent country of North Yemen. The resultant stalemate over the past couple of years, however, showed the Southerners that the coalition wasn’t powerful enough to reinstate Hadi’s rule throughout the country, thus opening up the opportunity for them to more assertively push the weakened government into concessions in an attempt to reassert their regional rights in the face of what they have long alleged is Northern oppression and even occupation. Fed up with the worsening situation in Aden as Hadi’s authorities began to turn the remaining “state” apparatus against them, especially following the removal of pro-Hirak former Aden governor Aidarus al-Zoubaidi in April 2017 and his establishment soon thereafter of the “Southern Transitional Council” (STC), Southerners demanded that the Saudi-based President replace his entire government or risk an imminent uprising. Last Sunday, the day that the ultimatum was set to expire, Hadi banned all public demonstrations and ordered his troops to fire on STC supporters who traveled to Aden from all across South Yemen to join the planned protests. Considering that Yemen is the world’s second most heavily-armed country behind the US, people had their guns nearby just in case something went wrong, which it clearly did when the military started killing the protesters who violated Hadi’s decree, thus prompting them to take up their weapons out of self-defense and strategically go on the offensive in an ambitious attempt to liberate their capital. Reportedly armed and trained by the UAE, the SRF made easy work out of Hadi’s ragtag Saudi-supported fighters and instantly brought the Southern cause back to the world’s attention. At this moment in time, the Southerners are seeking international support for the restoration of their independence since they want to return to the community of nations like they previously were for decades and not remain de-facto recognized solely by their UAE ally. Although many arguments and historical precedents can be referenced in their favor, one of the most intriguing is the comparison that South Yemen has to Crimea. Both identity-separate territories were merged with a neighboring one to which they had no serious affiliation with beforehand apart being located in the same geographic region. 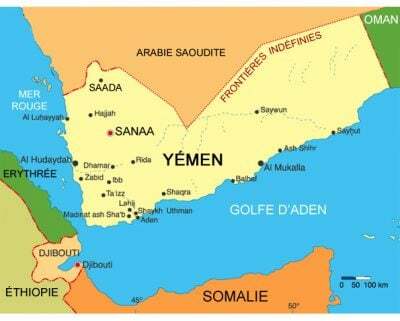 “Yemen” is actually the name of a region that extends beyond its eponymous country to parts of southern Saudi Arabia and a sliver of western Oman, just as “Ukraine” literally translates to “frontier” and refers to the historical Polish-Russian borderland. Each of their respective people came to acquire a regional identity over the years, with Yemenis having achieved this many centuries before the Ukrainians did, but local differences still persisted. Just as people in the western Ukrainian region of Galicia are different than those in the country’s former autonomous republic of Crimea, so too are North Yemen’s distinct from South Yemen’s, with each subsection of this larger region having its own internal variations as well. Crimea was joined to Ukraine by order of Soviet leader Nikita Khrushchev in 1954, while South Yemen agreed to unite with North Yemen in 1990 and their combined populations overwhelmingly supported the new state’s constitution. The problem, however, was that Yemeni President Saleh allegedly took advantage of the Southerners’ post-communist naiveté to plunder the comparatively wealthier country and carry out a “deep state” coup in forcibly replacing all of its local leaders with Northerners. This prompted the brief 1994 civil war that the separatists ended up losing and which subsequently led to native Southerner Hadi being made Saleh’s Vice-President after decisively turning against his former countrymen during that conflict. Altogether, it can be argued that the Crimeans didn’t want to be part of a post-Cold War Ukraine just as much as the South Yemeni people didn’t want to be part of a unified Yemen that had gone dangerously wrong and whose Northern-led government had run seriously amuck. The trigger for Crimea’s secession from Ukraine was the 2014 pro-American coup that destroyed the constitutional legitimacy of this unnaturally created “region-state”, after which its Russian-majority population opted to implement democratic measures to vote for independence and then reunification with their historic Russian homeland in response to the fascist violence that they feared they’d be subjected to by the coup authorities. Although having unfolded over the course of three years and not three weeks like the Crimeans’ cause did, the South Yemenis have followed a similar path. Already dissatisfied with what they largely viewed as Northern occupation and collective punishment following their failed 1994 secessionist attempt, they saw a chance to revive their fortunes after the 2015 success of the Houthi coup in Sanaa and consequent dissolution of the state’s constitutional authority. Nevertheless, Hadi still remained the internationally recognized President of Yemen and his return to power was militarily supported by most of the GCC countries and Egypt, thus forcing al-Hirak to tactically align itself with these forces as they proved their loyalty to the anti-Houthi cause and bided their time while waiting for the right moment to rise up again. The reason why Southerners are so strongly against the Houthis is because they view them as the complete antithesis of all that they themselves stand for. Whereas the Houthis are North Yemeni Shiite-Zaidi tribesmen aligned with Iran and fighting to impose what some fear would be a shadow form of right-wing Islamic governance over the entirety of unified Yemen, al-Hirak and its supporters are mostly South Yemeni secular or Sunni city folk aligned with the UAE and fighting to restore their left-wing Cold War-era government in South Yemen only. Realizing that Hadi would never reassert his power over North Yemen in spite of the substantial Saudi-backed militant assistance that he’s received over the years, the Southerners sought to exploit this weakness in agitating for more rights, though the internationally recognized leader stepped up his suppression of them and ultimately ordered his troops to fire on unarmed protesters who assembled to protest him over the weekend in violation of the government’s anti-democratic decree. That moment can be seen in hindsight as the second and ultimately fatal blow to the legitimacy of the united Yemeni state, with the 2015 Houthi takeover of Sanaa being the first. Having gone on the offensive out of self-defense just like the Crimeans did, the South Yemenis have already de-facto restored their sovereignty and only need to carry out the referendum that they tentatively planned for later this year in order to give their resurrected state international legitimacy. It appears extremely unlikely that Saudi Arabia will break with its UAE ally and unilaterally dispatch its forces to fight the Southern secessionists, especially considering that Riyadh can’t even defeat the Houthis in North Yemen, to say nothing of Abu Dhabi Crown Prince Mohammed Bin Zayed’s mentorship over his much younger Saudi counterpart and the “father”-like influence that he wields over the coalition’s official leader. This means that South Yemen will for all intents and purposes be de-facto independent the moment that Hadi’s Prime Minister evacuates the region and his remaining officials in the presidential palace surrender to the SRF or are also flown out of the country, but that doesn’t necessarily translate into international recognition no matter how legitimate its cause may be. The fact of the matter is that most of the world is reluctant to change established state borders out of fear that it could bring about “Balkanization”, with Kosovo and South Sudan being the main exceptions this century primarily because their secessions were US-backed. That’s not necessarily the case with South Yemen’s, however, no matter how closely allied the UAE is with the US, but that also doesn’t automatically translate into al-Hirak’s cause being detrimental to America’s grand strategic interests either. Even so, this potential overlap shouldn’t be assumed to be exclusively to the UAE and/or the US’ advantage, since it’s very possible that it could play out to the benefit of the Multipolar World Order as well, not least because of South Yemen’s ultra-strategic location at the transcontinental crossroads of West Asia & East Africa as well as connecting Europe with South Asia via the Gulf of Aden, Bab el Mandeb, and Red Sea. These geographic credentials endow South Yemen with the possibility of becoming a crucial node on China’s One Belt One Road global vision of New Silk Road connectivity, as was described by the author more in depth in his December 2017 analysis about how “South Yemen Will Regain Independence If It Follows These Six Steps”. To concisely summarize the most relevant points from that policy proposal, South Yemen should carry out its planned independence referendum as soon as possible and then seek the neutral mediation of a third-party such as Russia in order to generate international support for its secessionism from unified Yemen. Moscow is being mentioned not just because the author previously forecast that the Eurasian Great Power could extend its “balancing” influence to the furthest corner of the Arabian Peninsula and therefore the southwestern extremity of the supercontinent, but that Foreign Minister Lavrov himself announced his country’s willingness to do so between the Houthis and Hadi during a meeting with his Yemeni counterpart just a week before South Yemen’s liberation occurred, and the Russian Foreign Ministry later added earlier this week that its offer applies to the situation in South Yemen as well. Russia’s suggestion to broker talks between al-Hirak and Hadi also comes after Summer Ahmed, a US-based representative of the Southern Transitional Council, told the author in the course of an interview on his Trendstorm radio program hosted by Russia’s publicly financed international media outlet Sputnik that the STC would welcome the country’s mediating efforts in the event that the situation deteriorated, which it eventually did. Moscow’s possible diplomatic intervention would be entirely neutral because it has interests in both North and South Yemen. For example, Russian doctors operated on former President Saleh two months before his assassination and his son just met with the Russian Deputy Foreign Minister. 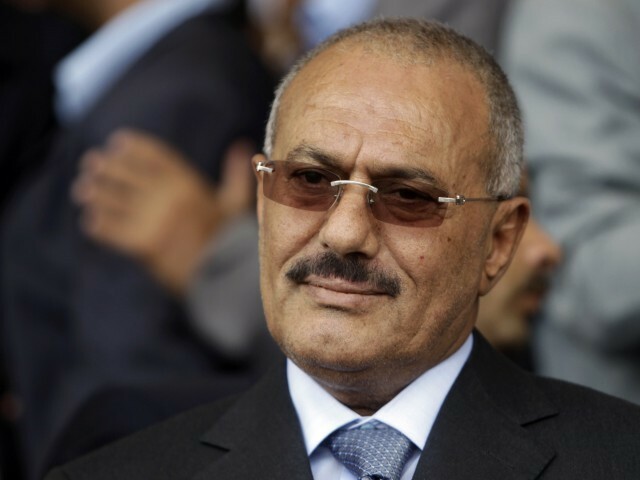 Although Ahmed Abdullah Saleh might never forgive the Houthis for killing his father, the late President’s General People’s Congress (GPC) is still allied with the mountainous militants, potentially providing an avenue of indirect Russian influence into North Yemen. On the other side of the country, South Yemen was the Soviet Union’s closet Arab ally and the only Muslim country to ever formally have a communist government. Russia is therefore best equipped to handle the delicate negotiations over what appears to be unified Yemen’s impending re-division into its two constituent but historically and culturally separate halves, with a period of “Identity Federalism” potentially preceding the final “divorce”. In addition, Russia’s fast-moving rapprochement with Saudi Arabia and its excellent ties with both the UAE and Iran make it so that Moscow could help “balance” the “loss of face” that Riyadh is destined to experience after the political loss of its Hadi ally with the geostrategic benefits that Abu Dhabi and Tehran are poised to receive by the re-independence of South Yemen and North Yemen respectively. In addition, this solution could naturally lead to the end of the War on Yemen and both of its peoples’ suffering, returning these two formerly sovereign states back to the pre-1990 status quo and allowing them the chance that they need to redevelop their economies and rebuild their national institutions. Hadi is no longer a symbolically relevant factor in the national equation, the Houthis have no hope whatsoever of conquering all of Yemen, and the Southerners have just de-facto restored their Cold War-era country’s independence, meaning that the entire reason for the Saudi-led military intervention has collapsed and the superficially unified country is now ruled by two distinct governments in its constituent halves that are once again at irreconcilable odds with one another. The only logical path forward for all actors under these conditions is to accept this state of affairs and formalize them in terms of international law, which might require a transitional period that sees North and South Yemen each holding their own UN-supervised independence referenda and going through the formal procedures of their institutional disengagement with one another, hence the option of implementing a broad system of “Identity Federalism” between the two parts during this time. Russia is the only Great Power capable of acting as a neutral mediator between all parties and ensuring a fair solution for everyone, which is why efforts should be made by both the North Yemeni GPC and the South Yemeni STC to actively invite Moscow to participate in and potentially even lead this process. Russia can help the Saudis’ “save face” while simultaneously “balancing” the UAE’s interests in South Yemen with Iran’s own in North Yemen, the latter of which could require a second deeper level of “balancing” by elevating the GPC to the level of an internationally recognized political force in this part of the country in order to get around the coalition’s unwillingness to deal with the group’s Houthi allies. There’s no perfect way to handle this seemingly intractable diplomatic situation, but Russia is nevertheless best suited for confronting this challenge, which is why it must get involved to some capacity or another. The end result of Moscow’s mediating efforts should be North and South Yemen’s agreement to a UN-backed plan for re-dividing the nominally unified country into its two historical parts, after which Russia can work to expand its influence throughout both of them, though with much higher odds of success with its former Soviet-era South Yemeni ally. North Yemen could possibly become the “New Eritrea” in that it’s treated as a “rogue state” and “isolated” by its neighbors, with the scenario arising that some “mild” form of the coalition’s blockade could still be illegally imposed upon it out of its members’ fear that the newly independent country could become a bastion of Iranian influence. While undesirable from a humanitarian perspective, it might still be “better” than what its people are presently suffering under prior to the UN’s Russian-encouraged prospective involvement. While North Yemen will probably continue to languish in externally enforced poverty and famine, South Yemen contrarily stands the chance to become a vital part of the New Silk Road with all of the prosperity that it promises. Russia to Establish A Naval Base in Yemen? Implications for US Military Involvement in Syria?